How to Set Up and Run a Mystery Skype Session - What's going on in Mr. Solarz' Class? 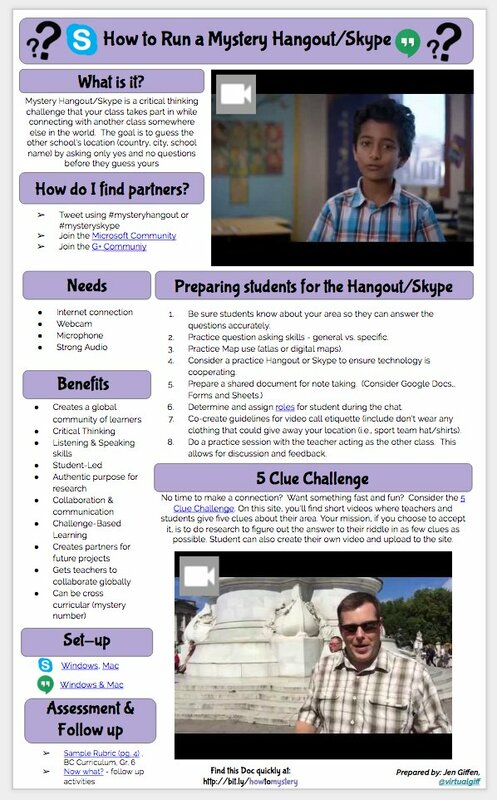 What is a Mystery Skype? 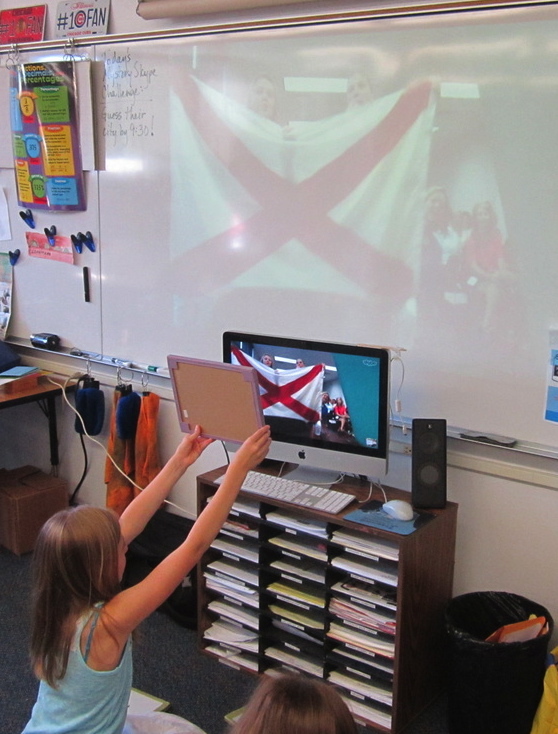 Mystery Skype is a 45-60 minute critical thinking challenge that your class takes part in while Skyping with another class somewhere else in the world. Your students' goal is to guess the other school's location (country, state, city, school name) before they guess yours. We do this by asking yes and no questions. How do you find Mystery Skype partners? 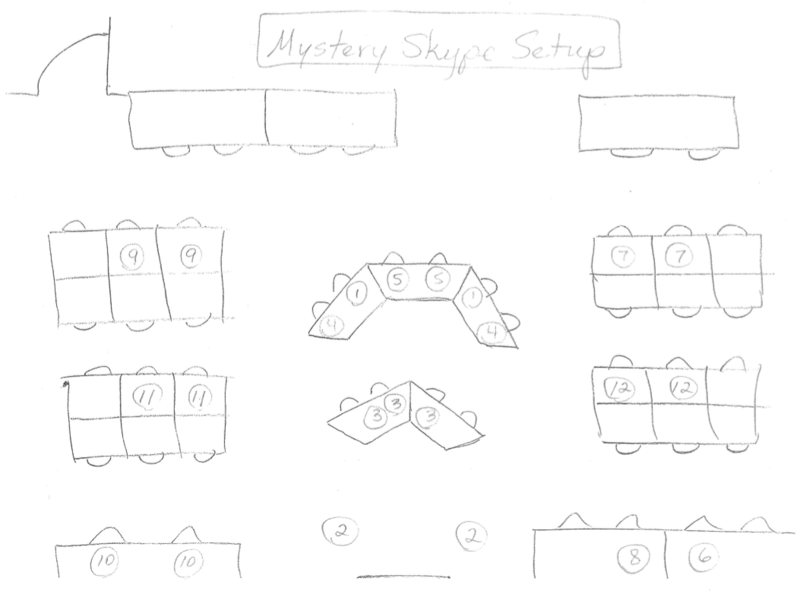 Why should I have my students Mystery Skype? Maximum engagement for a sustained period of time! 1. Before your first Mystery Skype, teach your students how to ask general questions (as opposed to specific questions). We do this by playing a mystery game where a situation was presented and the students had to ask Yes or No questions to try to solve the mystery. 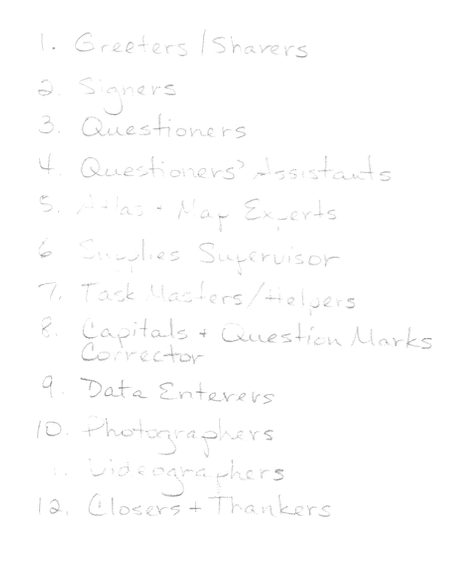 As they asked questions, I helped them refine their questions to be general to start and get more specific as they narrow in on a correct answer. When students ask "specific" questions too soon, it's often a waste of a question. Do you live in a state that starts with a letter A through L? 2. It is best to create a web page or a shared Google Doc (see image below #3) that has all of the links your students will need prior to your first Mystery Skype. You may also want to show them one of the clips from our Mystery Skype YouTube Playlist (these are raw videos, so preview them ahead of time to decide which one might be best). 3. 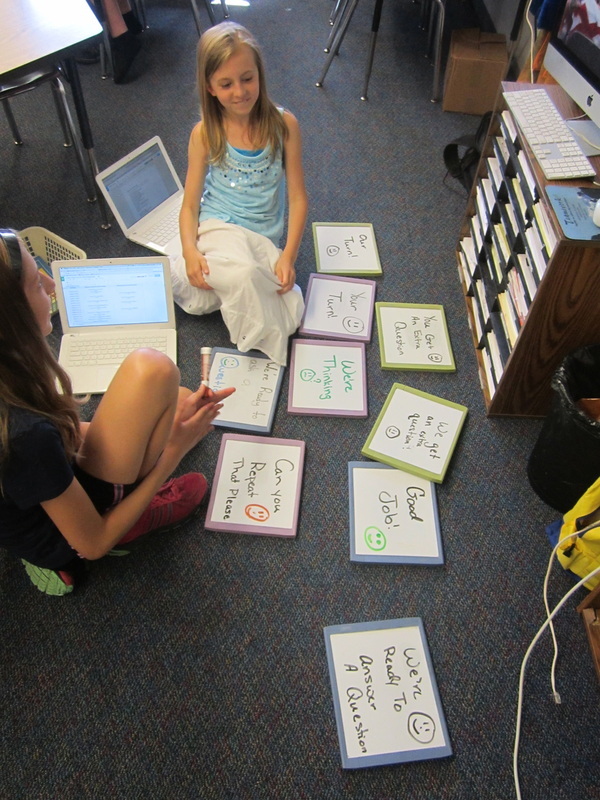 Show your students the documents and websites they will be using during each Mystery Skype. Also, make sure they know how to use an atlas (or one online). 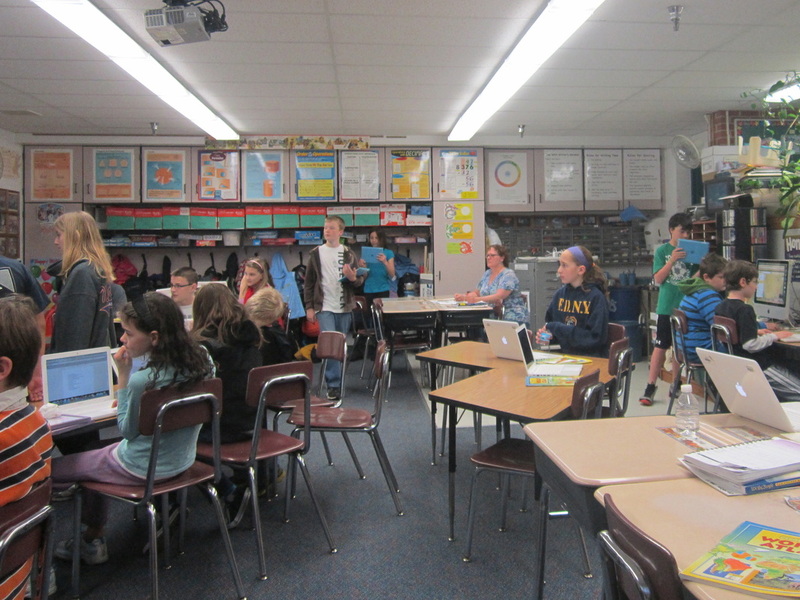 Here is a panoramic view of our classroom during a Mystery Skype. Students have assigned seats and are performing their jobs. I announce and post their roles. I ask everyone to get their computers, their atlases, any other materials they might need (cameras, etc.) and their spot in the room (see picture below) and I do the same. I choose a location that I am very familiar with that is outside of Illinois to pretend to be from. I stand where Skype would normally be projecting for the class to see and pretend that I am the other classroom. We go through our step-by-step procedure (see picture below), practicing & giving students feedback for improvement. 6. You're ready for your first Mystery Skype! Have your students take their positions. Go through each step, and when you get to the Question and Answer portion, take turns with the other class! Start very generally (e.g. Are you in North America? Are you north of the 40th parallel? etc.). Some classes like to give you a free follow-up question if they answered, "Yes" to your question, but it's limited to one follow-up per turn. As questions and answers are being exchanged, make sure that everyone is contributing to the Google Doc and that no one is shouting their questions across the classroom! Despite all the preparation, there will probably be some hiccups, but don't worry because you are being a risk-taker and that's great to model for your students!